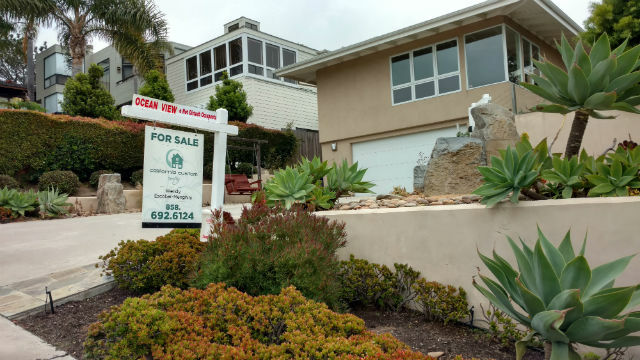 Sales of previously owned single-family homes in San Diego County dropped 10.5 percent in July compared to June amid rising prices and low inventory. The Greater San Diego Association of Realtors reported Wednesday that single-family home sales fell from 2,221 in June to 1,989 in July. The latest decline follows a smaller 2 percent drop from May to June. Compared to July 2017 last year, single-family home sales are down over 6 percent. The declines come as the price of a single-family home continues to rise because of low inventory. The median price reached $657,000 in July, up slightly from June and 7.5 percent higher than a year ago. The Realtors group said there is a 2.4-month supply of homes on the market, versus a “healthy” level of 5 months.